At Jax & King Salon, we believe you deserve style and luxury, no matter where you live. That’s why we bring you the latest hair trends, from Manhattan to Milan, here to our hair salon in Vernon, BC. Our diverse team of industry experts delivers elements of classic beauty mixed with a modern sensibility and a touch of the unexpected. 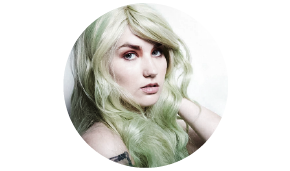 Led by award winning stylist Paul Miller, our team of highly innovative and experienced hair-stylists have developed their skills through ongoing education and dedication to the job. Lifestyle and culture are evident in this salon reinvention called Jax & King. Our repurposed armchairs mounted on hydraulics are close together so that clients can talk to each other as we used to. It's an ode to what the salon experience used to be and has long been forgotten: a social hub for meeting, mingling and being 'au courant'. The eclectic collection of repurposed goods and antiques doesn’t feel kitschy, but rather thoughtfully gathered over time. 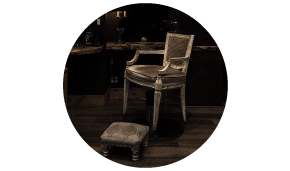 Staged in various areas throughout the salon, our décor puts the essence of the "parlour" back into beauty parlour. You will find that we take care of our continued standard of quality by providing mentorship to fresh talent in the industry. These are usually around a 2-year program and we strongly believe in backing raw talent who can one day turn into much-sought-after stylists! We provide them the opportunity to launch their career, and they, in turn, can realize and use their talents to help out our clients! As a result, you get the most personalized, skilled and ingenious group of people cutting or styling your hair. It doesn't just stop there. Every client who has been through an entrancing experience here can attest to the reinvention of self. The design and the experience represent a uniform idea. Inspirational, provocative and most extraordinary, Jax & King is not one of many but one of a kind. You should visit us not just to get your hair styled but also for an intimate hair salon experience in Vernon!